Broadway & Frame Premix Concrete Pty Ltd released new Terms and Conditions of Sale that are effective from 1 December 2016 and replace those which came into effect on 1 July 2015. Broadway & Frame have released an extended range of decorative concrete under the name Geostone that features a range of contemporary and versatile concrete products. Developed in collaboration with our parent company, Holcim Australia, the stone in Geostone is selected for its natural variation in colour, size and shape, which is then put through a process to ensure a tough, durable product. Choosing Geostone opens up a world of design possibilities and potential applications. Unleash your imagination and use Geostone to enhance your unique sense of style and place. 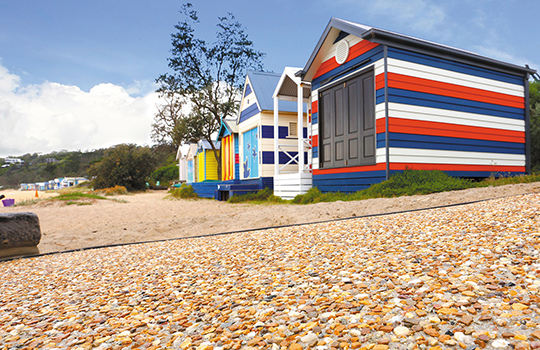 Download our Geostone brochure or visit www.geostone.com.au for the full range of colours and finishes. We’re making some changes to our pricing and we wanted to let you know as early as possible. From 1st April 2016 all strength grades of concrete will increase by $5 per cubic metre. Broadway & Frame Premix Concrete Pty Ltd released new Terms and Conditions of Sale that are effective from 1 July 2015 and replace those which came into effect on 1 October 2011. Our privacy statement outlines the way we manage personal information that we collect or that is provided to us in compliance with the Australian Privacy Principles (APPs), the credit reporting provisions in Part IIIA of the Privacy Act 1988 (Cth) (Privacy Act), and the Credit Reporting Code (CR Code). The Broadway & Frame website was launched on 18 March 2013. We would value your feedback and ideas on additional information you’d like to see on the site. ©2019 Broadway & Frame. Website by Image Canteen.